RTE is proud to work with engineers at Circuit of the Americas to design a new digital-to-analog Track Marshall Communications System. At RTE, we don’t sell products, we solve problems. While many of our technology partners sell direct, RTE takes these products one step further by understanding the requirements and developing a custom solution to meet the specific needs. In many cases, RTE can save our clients money by maximizing the value of current equipment without having to purchase additional unnecessary features. If there is a need, we will help find the right solution within budget constraints. RaceTrack Engineering staff have traveled the globe supporting diverse motorsports events. In this, we’ve noticed an astonishing fact: many racetracks just don’t fully utilize the technology they have. Either equipment and systems are purchased with no training or setup, or the original operator is long gone and has left the technology seemingly useless. If you have technology that seems daunting, RTE will help you get up and running quickly and efficiently. Let’s face it, technology fails. 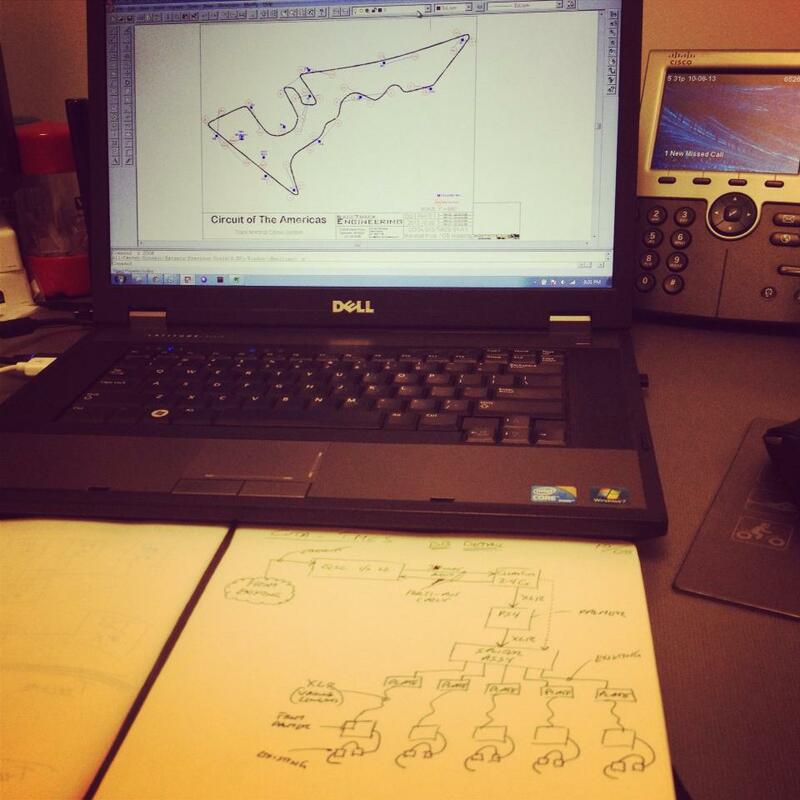 While most systems have service plans or warranties, RaceTrack Engineering is here to cover the rest. If you have a system that doesn’t work, we do our best to diagnose the problem. Upon diagnosis, we offer a three solutions: Good / Better / Best to give ultimate flexibility for capital improvements. Got Scoring? Timing loops are one of RTE’s specialties. 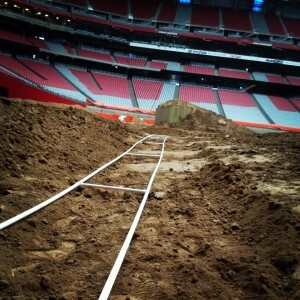 Above is installation from the Robby Gordon Stadium Super Truck Series at the University of Phoenix Stadium. RTE works with the best in the business. 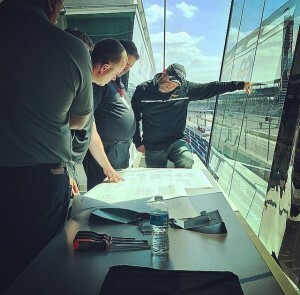 Here, RTE Founder Dave Dusick collaborates with IndyCar officials to layout the newly renovated Race Control at Indianapolis Motor Speedway. RTE offers Event Operations support for a myriad of events. Here, we’re operating Track Safety Lights in the Edward Jones Dome in St Louis. At times, capital expenses are not in the budget, but a large event may need some extra “help.” RaceTrack Engineering can provide equipment for your facility for one-off special events. Scheduling is first-come, first-serve, so give us a call! As our name states, RaceTrack Engineering started as a technology business; however in doing so, we have grown to support hundreds of events. 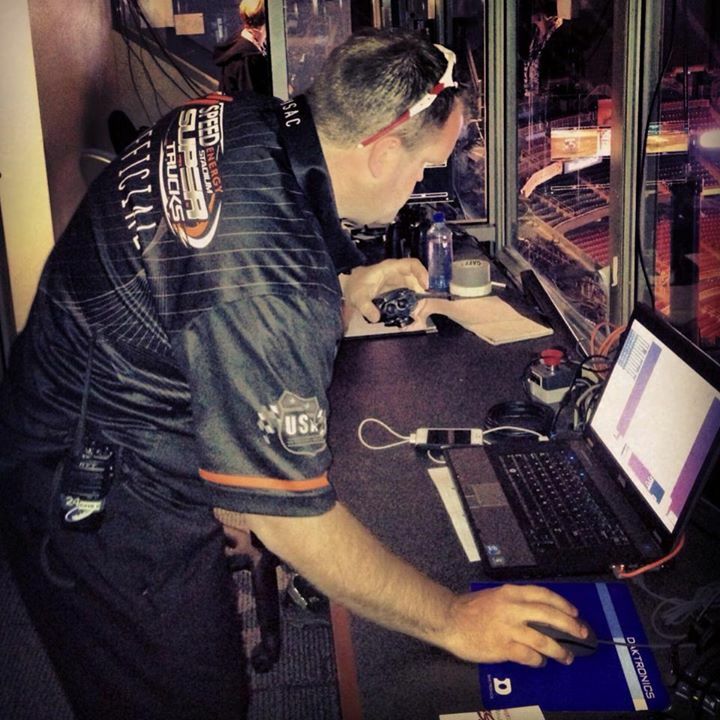 As a result, we’ve developed quite the database of motorsports event professionals. If you have a need, we have “the guy.” Give us a call and we’ll send them over!